The reporting dashboard serves as air traffic control for all the activities going through the system. It operates as an integrated system in which the researcher can go in to the individual study to do the analysis and report creation. Much of this is automated. 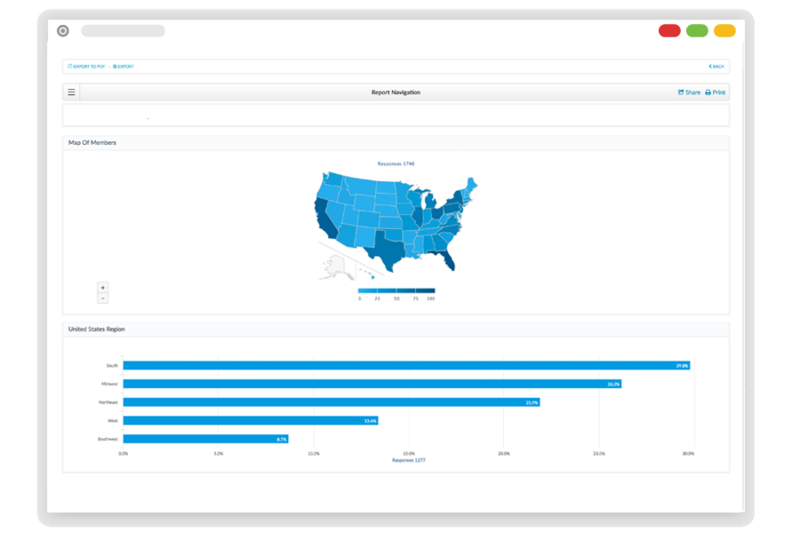 The dashboard provides start and due date for the reports, number of responses, and a projection of how long the report will take to complete. 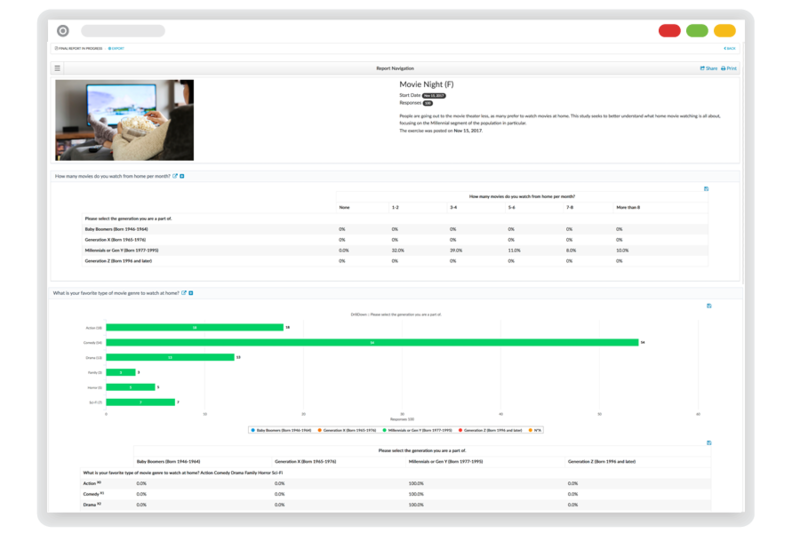 The dashboard also serves as the storage for reporting and is easily searched utilizing a tagging system. The My-Take chart editor is powerful, simple, and flexible. Default charts automatically render to the researcher’s preference. However, there are options for chart type such as bar, pie, stack, crosstabs, table, image upload, and more. Additionally, there are options for count or percent, sorting, anchoring, and filtering. Word clouds are integrated into the My-Take reporting engine. These offer two primary uses. First, they offer a means to get a quick feel for the big picture results of open-ended questions, second, they can be used as visuals for the final report. 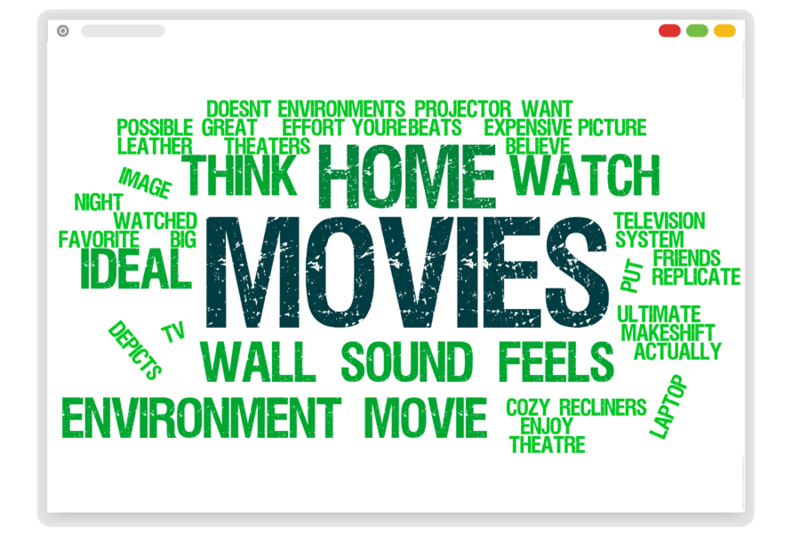 The My-Take word clouds offer lots of options including font, color, and the ability to easily eliminate superfluous words. 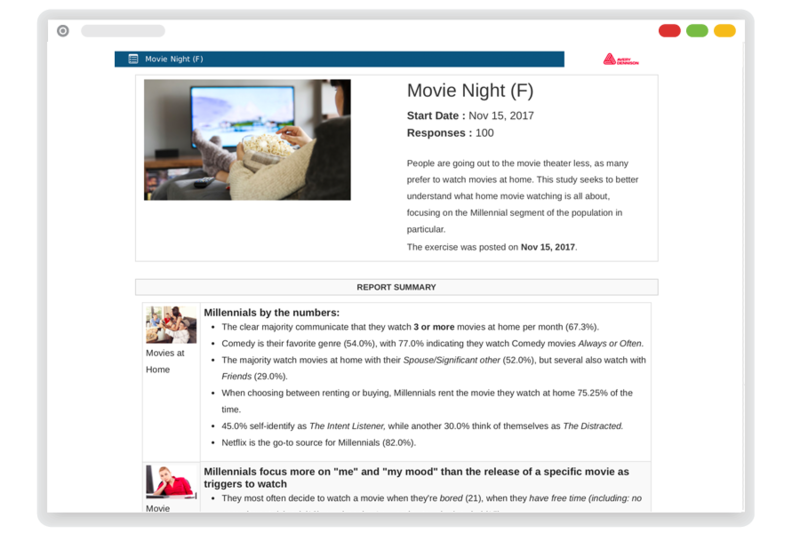 The My-Take platform features cross tabs and core statistics. The cross tabs allow for more detailed analysis and are completely integrated into the platform. There is also an option for formatted banner tables allowing you to nest any number of additional questions or demographics. Statistics options include significance testing and correlation. 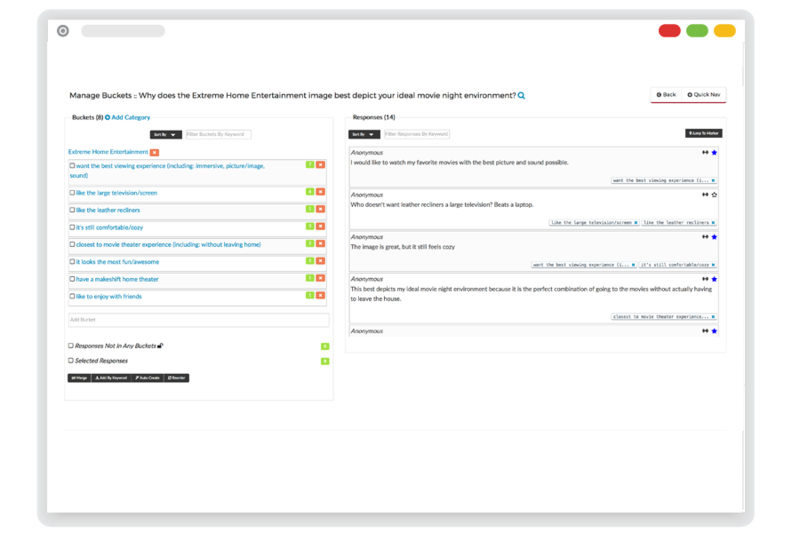 The significance testing can be toggled to 90, 95, and 99 percent confidence level. Live reporting is an incredibly powerful feature of the platform. 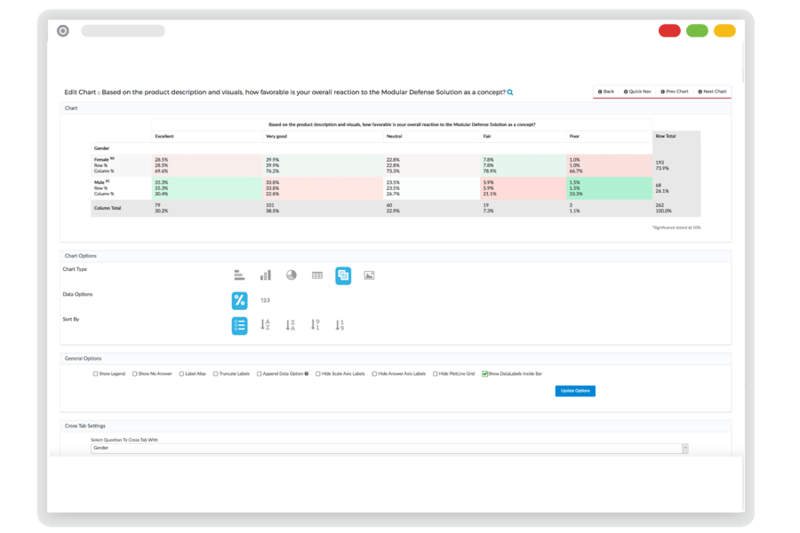 It allows stakeholders to view results as they happen, and can also be used as a means to see a quick overview of the results and conduct additional analysis. Export your reports or raw data in a variety of formats including PDF, Excel, and PowerPoint. TextCoderAi technology is a proprietary My-Take technology which brings speed and accuracy to the coding of open end responses. The technology delivers time saving ranging from 50% to 80%. 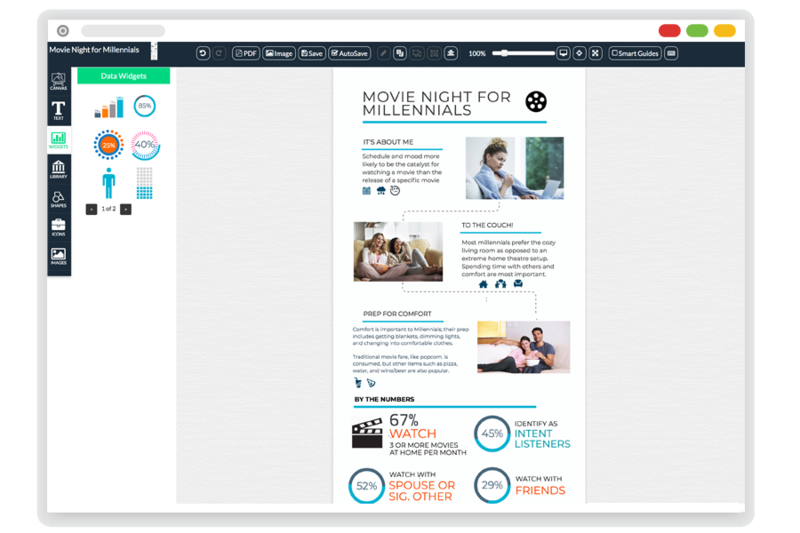 The infographic allows for high impact graphic representation of the data for individual or a series of reports. Templates and widgets provide the ability to easily create annual report level graphics. Clients typically use this feature for communicating select results throughout their organization, or as a means to share back select data with community members. 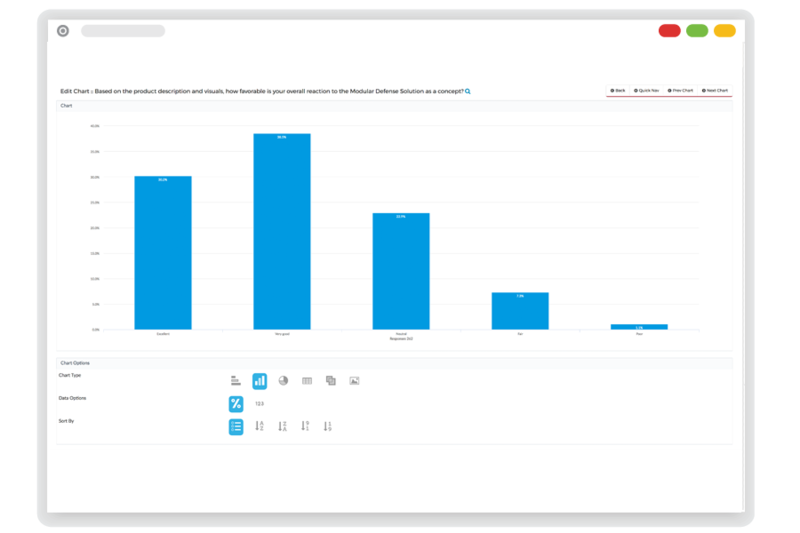 Keyword Alerts - Get real time alerts when community members mention keywords of interest, and monitor over time. 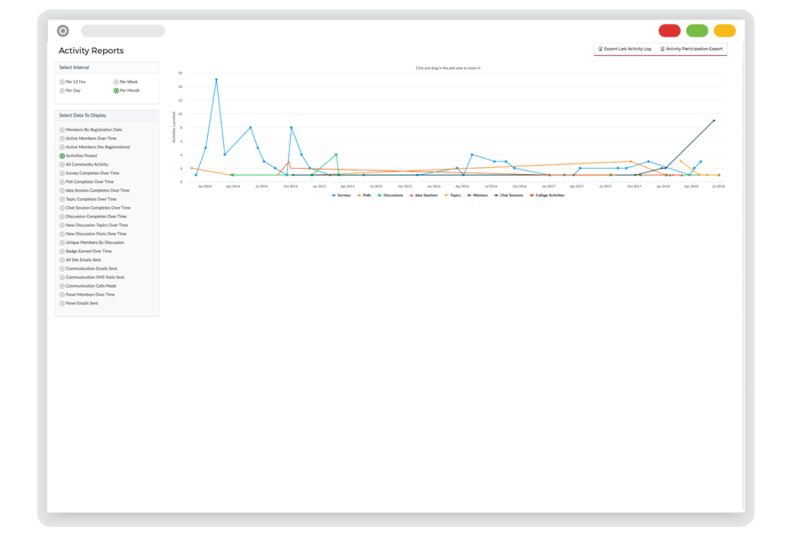 Community Health - Monitor key metrics and member participation with our real time activity reports. 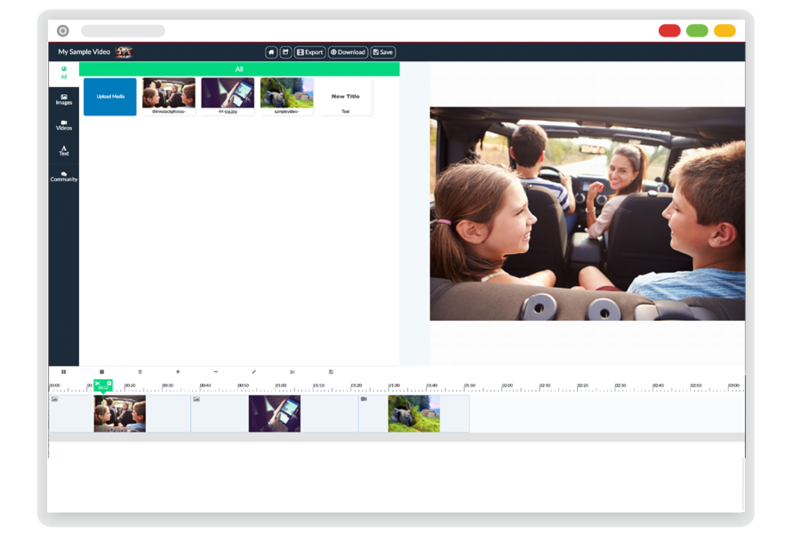 Integrated Video editor, allows you to create highlight reel montages of your members' multimedia uploads. 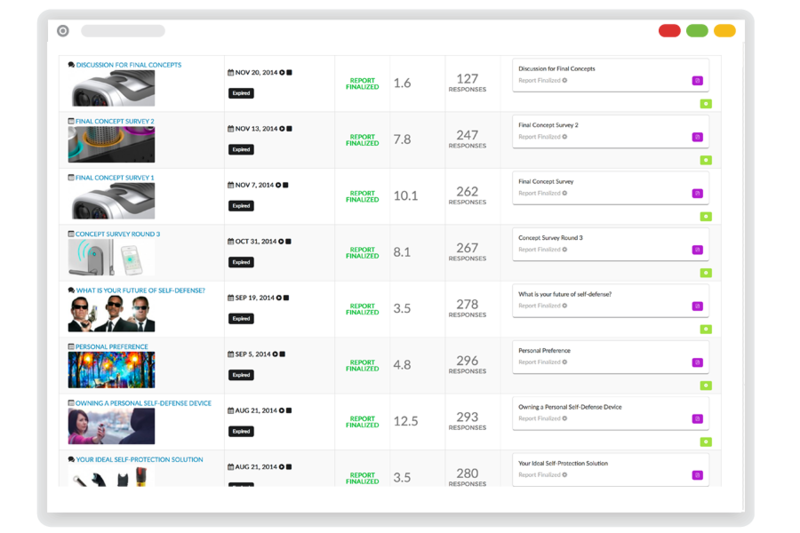 Your community member demographics are integrated in to our reporting engine. Quickly filter, segment, or include any available demographics available for your community members.